Sandicliffe Motor Group is a vehicle dealer group with more than 50 years of experience in the industry. This family-run dealership has a strong presence across the East Midlands, with sites in Nottingham, Leicester, Loughborough and Melton Mowbray. The company specialises in the sale of new and used cars and vans. In addition to this, Sandicliffe Motor Group dealerships provide customers with a variety of other services such as fleet rental, car valuation and a part-exchange program. The dealer partakes in the nationwide Motability scheme which can be used for the benefit of disabled drivers. In 1948, founders Richard Woodhouse and Henry Barton formed Sandicliffe Motor Group. The two friends started out with a small garage, complete with petrol pumps, in Stapleford. 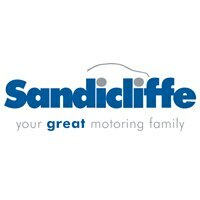 Sandicliffe’s name was inspired by the sandy cliff that stood behind the Stapleford garage. Woodhouse and Barton oversaw the growth and success of Sandicliffe Motor Group, acquiring numerous franchises and opening different branches across the region. Over the years the business has won many awards. In 2010, for example, it was awarded the prestigious ‘Ford Chairman's Award’ for the sixth time. Across Sandicliffe Motor Group dealerships, the company stocks new and used models from its five key franchises – Ford, Nissan, Kia, Mazda and Skoda. Customers can also discover a range of vans from Ford and Nissan. On top of this, the group also sell used vehicles from the likes of Audi, BMW, Citroen, Hyundai, MINI, Mercedes-Benz and Vauxhall. With over 2,000 used vehicles on offer, Sandicliffe dealers give customers plenty of options to choose from.